It is odd how things come in and out of fashion and I’m not just talking clothes but food, language, garden plants, and even kitchens. If you ever get the chance, sit in a 1980’s kitchen and eat a Fray Bentos steak and kidney pie followed by an Angels delight pudding. 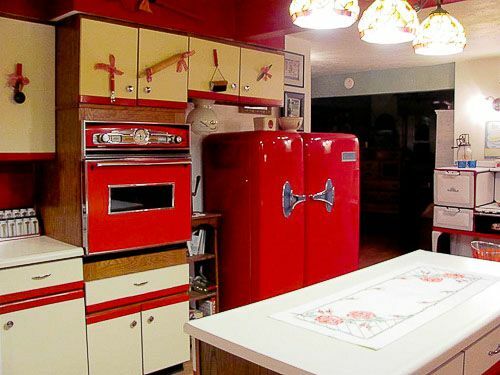 As you munch away at this processed food amongst stark red and black stripes listening to Bryan Adams power ballads, you could feel like we have progressed and you could be forgiven for feeling rather smug about our present day food and kitchen design choices-who’d have red in their kitchen! Yet all this too will change and in years to come shaker kitchens, sourdough bread and craft beer will all seem old fashioned. Indeed British kitchens and some of our food might already seem quaint and old-fashioned to someone from parts of the Far East. Perhaps to our ancient and not so ancient ancestors, our present food fashions might seem rather odd too, as there are so many wild foods out there that we ignore. Take wood sage for example, this was once a sort after herb – prized in beer making and with a similar flavour to hops. Yet, for reasons I’ll go into, it went “off trend”, and these days it is only used by the occasional forward-thinking, experimental brewer. Weirdly, the reasons for its demise are due to changing trends in drinking vessels. And religion. Unlike hops, where just the flowers are used you can use the whole of the wood sage plant to brew with – great, no waste and trouble free, you might think – well no! Unlike hops, where just the flowers are used you can use the whole of the wood sage plant to brew with – great, no waste and trouble free, you might think – well no! When it comes to brewing the trouble starts with wood sage because beer made with any quantity of the stuff is green, very definitely and very vividly green. If you drunk it right up until Victorian times this wouldn’t have been a problem up until then it would be served in a solid pewter tankard. However, after 1845 the glass tax was lifted and it was to have a massive effect on beer trends. Suddenly, drinkers were not satisfied with anything other than clear pale ale. The wood sage would help clarify the beer but, I guess that is no conciliation when you are confronted with frog-green liquid and told it’s beer. Trends are again changing and no longer are we obsessed with having clear amber beer. Drinkers are once again happy to drink beer that is unfined, many will favour something natural above something clear and clinical looking- Now could be the time to resurrect beer containing wood sage.Searching around for anyone who still had a go at making wood sage beer I found Old Odense brewed by Nørrebro Bryghus in Denmark which apparently now changes hands for $250 a bottle – so perhaps it would be worth any enterprising brewer having a go! However, before you do take out a bank loan and set up your own brewery you’d be well to be forewarned. Wood sage contains clerodane diterpenes which are thought to be hepatotoxic, meaning they can cause damage to the liver. These clerodane diterpenes are also present in Salvia divinorum they are the active chemicals that give people who smoke Salvia divinorum hallucinations. I’d worry slightly that you wouldn’t get approval to make such a beer, indeed you may even run up against the authorities for brewing it. It is also worth noting that the Catholic church, well the monks, used have a great sideline in and gruit (herbal) ales that gave the drinker vivid hallucinations. They would use herbs such as wood sage, bog myrtle and even henbane in their toxic brews. It wasn’t until the rise of the puritans in the 16th century that such practices slowly became outlawed. Instead, beer started to be made with hops, a herb that causes impotence and doziness in men and can help balance oestrogen in women which can have aphrodisiac effects. I’m not really sure what that says about the protestants at that time and I often wonder what our pubs would look like today if they could sell hallucinogenic beer! Woodsage is one of those plants that I’m sure the keen-eyed forager would have come across. It is now naturalised in New Zeland and North America and it is quite common across Europe. You’ll find it in woods that are not too densely covered and in shaded places on grassland from the end of spring until the start of the autumn. It kind of looks like mint but is much coarser leaves and with a sage-like smell, yet I think slightly mustier. To my mind at least, the whole plant feels like an old cartoon frog that has been sitting in the sun – must lay off the Salvia. Culpepper, the 17th century chain-smoking herbalist, and massive proponent for free health care for all suggests that wood sage is, “…good against the French pox”, and, “The decoction of the green herb, made with wine, is a safe and sure remedy for those who by falls, bruises, or blows”. Falls that I suspect could happen as a result of ingesting wood sage inwardly in the first place.